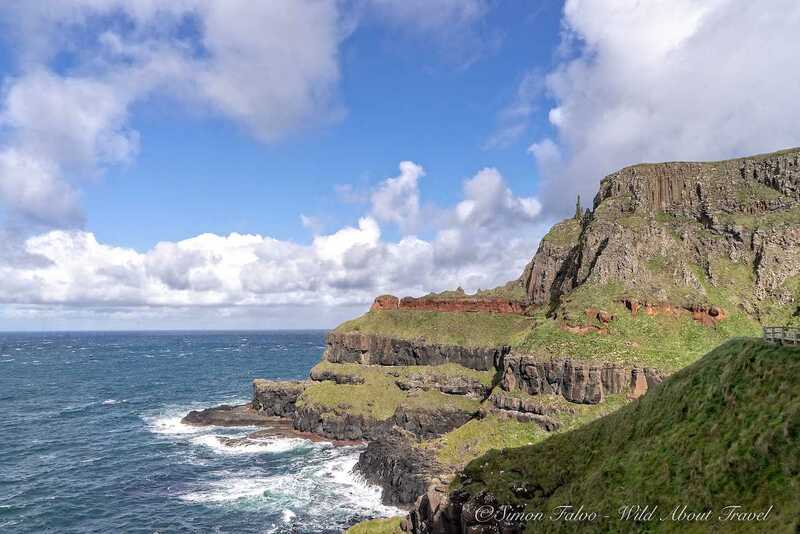 I first discovered the wild beauty of Northern Ireland on a road trip along the Causeway Coastal Route. I knew I would go back to explore this breathtaking stretch of cost at a slow pace. And so I decided to walk the Causeway Coast Way. A bright azure sky and a strong wind welcome me as I arrive in Portstewart. I left a very gloomy Dublin in the morning, and I’m not expecting the pleasant sunshine. After a quick check-in at the lovely At The Beach Bed & Breakfast, I head toward the seashore for a short walk and get ready for what was likely to be a stunning sunset. I’m not disappointed. As the sun starts to set, the scattered clouds turn orange, red, and purple. I look in awe at the sky on fire, oblivious of the howling wind. Once the dark falls, I go for a quick bite and then off to bed. Tomorrow I’m starting the walk along the Causeway Coast Way. * Distance: 52 km (32 mi). * Trail: From Portstewart to Ballycastle (or the other way). * Time needed: 2-3 days (I recommend 3 days since it gives you time to have breaks and take in the magnificent views. * Grade: easy to moderate. 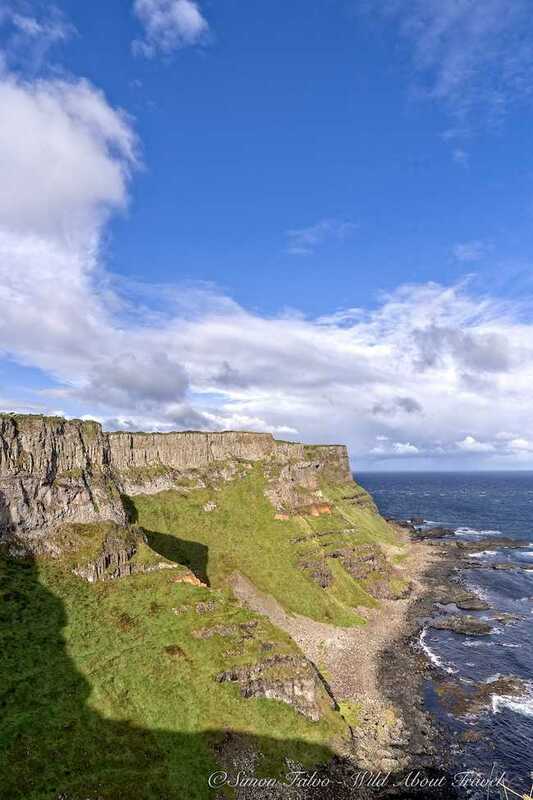 * The Causeway Coast Way is a section of the Ulster Way, a 1070 km (665 mi) circular long distance trail in Northern Ireland. 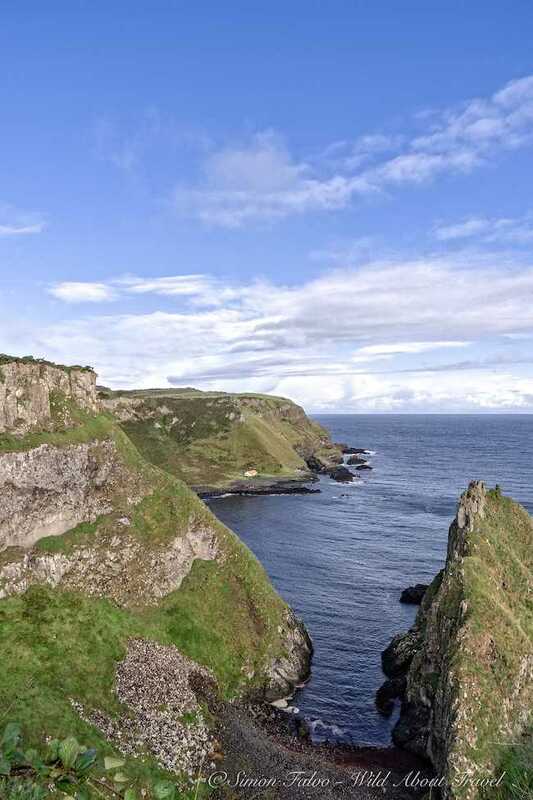 * I love hiking alone, and the Causeway Coast Way is perfect for solo hikers. But you can also have a self-guided trip with a tour agency. After a sound sleep, I wake up to the sound of the wind. A ray of sunshine casts a beautiful light, and I get ready in anticipation of my first day hiking the Causeway Coast Way. But first… A hearty breakfast. The dining room has large window panels overlooking the beach and the sea. I savor the delicious north coast smoked salmon with scrambled egg and wheaten bread, and I can hardly imagine a better start of the day. 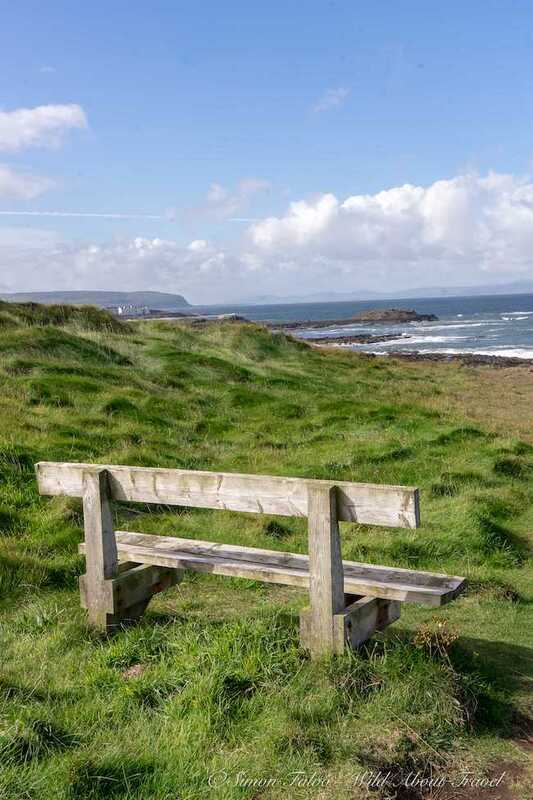 The path from Portstewart to Portrush is an overall easy 10.5 km (6.5 mi) walk that takes about 3 hours. The trail is close to the sea and follows the coast, which in this section is almost flat. After about 2 1/2 hours, I reach the Arcadia, one of the most iconic buildings in Portrush. The elegant white house overlooks the Atlantic Ocean and is a lovely spot for a short break. From here on, the landscape becomes more dramatic. The path follows a beautiful 2 km (1.2 mi) long beach, with its golden sand. The day is gorgeous and unusually warm, so I decide to take my hiking shoes off and to walk barefoot on the shoreline, close to the water. 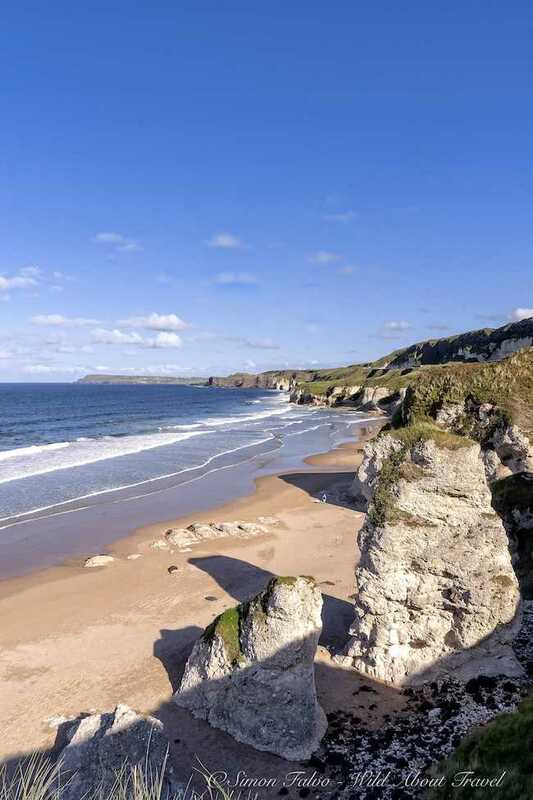 East Strand, as the locals call this beach, ends up to one of the most scenic spots along the Causeway Coast Way: White Rocks. 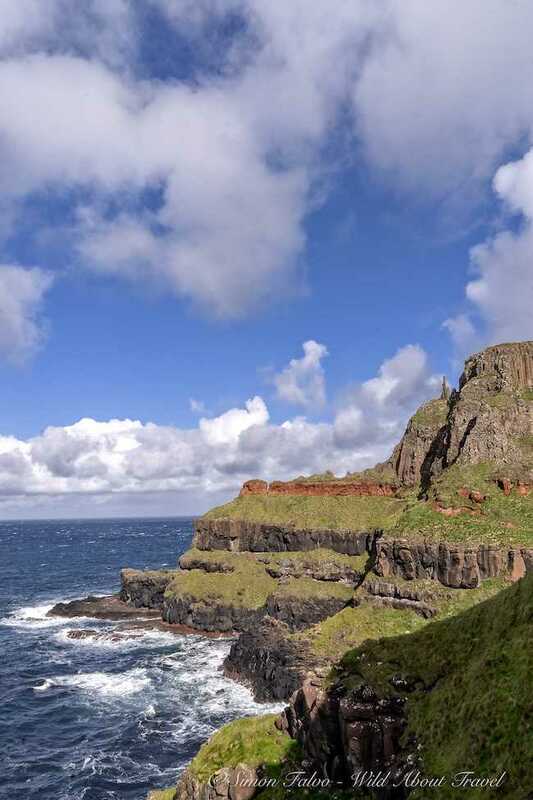 This is precisely the point I visited a couple of years ago during my road trip along the Causeway Coastal Route and where I decided I wanted to come back and walk the trail. Imagine high white limestone cliffs blanketed at the top by emerald green grass surrounded by the sky and ocean shades of blue and white and grey clouds running on the horizon. The view is mesmerizing. 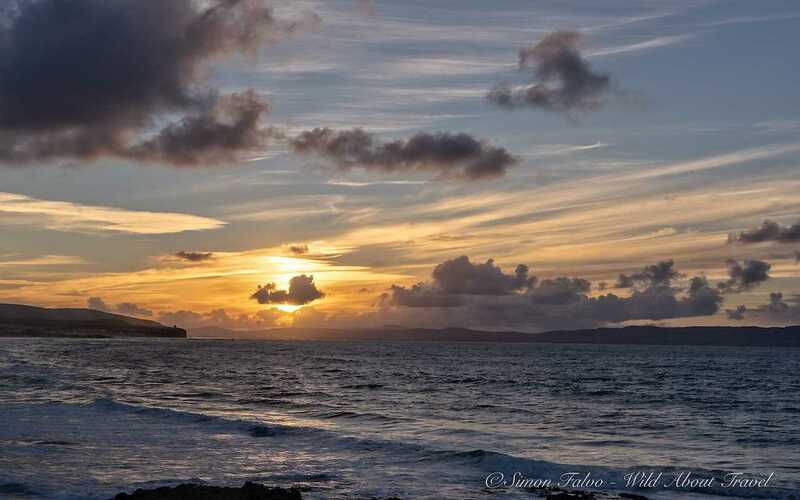 From here to Portballintrae – including the short detour to visit Dunluce Castle – the walk follows the paved road. Although the traffic is generally limited, I avoid as much as possible walking on tarmac and flanked by cars. I already visited Dunluce Castle during my previous trip, so I decide to skip the last 3 km to Portballintrae and catch the Ramblers bus to get back to Portstewart. I get back to my lovely room tired and happy. Time for a good sleep before more hiking on the Causeway Coast Way. 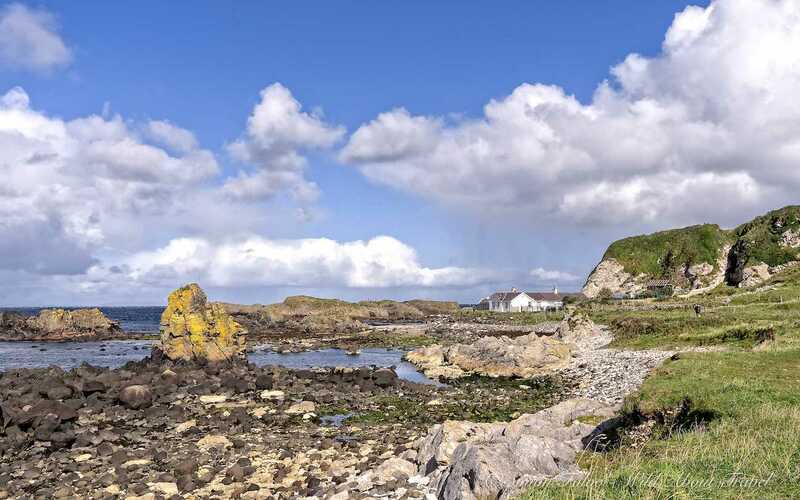 If you have time for only a 1-day hike along the Causeway Coast Way, this is the leg you should walk. 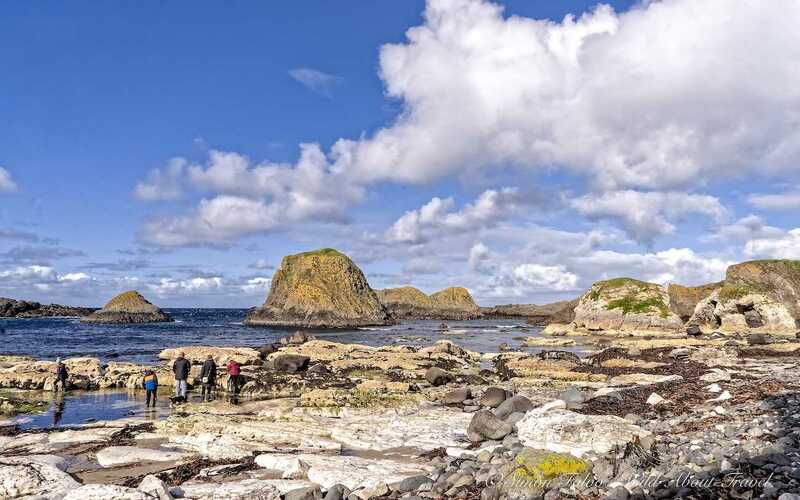 The 11.6 km (7.2 mi) trail will make you discover the otherworldly beauty of this stretch of Northern Ireland cost, and the awe-inspiring Giant’s Causeway. Since I had Portstewart as a base, I walked this leg “backward”, from Dunseverick to Portballintrae. If you have the chance, I would recommend doing the same since you’ll end your hike (almost) at the climax: the Giant’s Causeway. I meet Ray, my guide from Dalriada Kingdom Tours, and together catch the bus to Dunseverick Castle. A strong wind sweeps the wild and rugged coast, and the clouds run across the sky. The view is breathtaking, and I feel like I’m contemplating infinity. 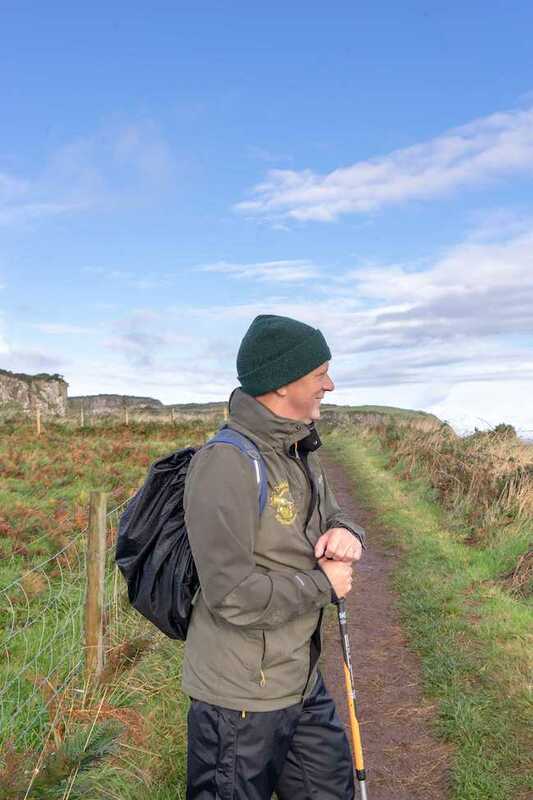 I’m not used to walking with a guide and enjoy Ray’s company and the many fascinating stories about Northern Ireland and the Causeway Coast trail. Except for a handful of other hikers, we’re almost always alone. Oh, well, there are the sheep! The quiet ends as we approach the Giant’s Causeway. 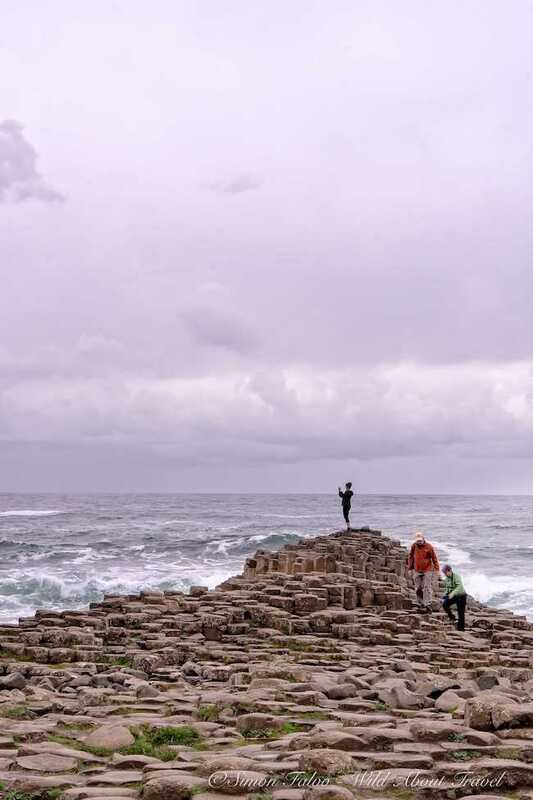 The basalt stones and columns lining the seashore are swarming with tourists busying themselves taking selfies. Lots of people come on a day tour from Belfast or Dublin to visit this unique UNESCO World Heritage Site. Looking at the dramatic scenery, it’s easy to understand why. But I prefer the Giant’s Causeway early in the morning or at dusk when it’s more intimate. The best hotel on the Giant’s Causeway? If you have the chance, I strongly recommend you to stay at the Causeway Hotel. Not only this hotel has a unique atmosphere. Spending the night at the Causeway Hotel allows you to have the Giant’s Causeway (almost) all by yourself, early in the morning and at sunset. Without the crowds, you’ll experience the real magic of this unique site. I wake up to another sunny day, an unexpected and most welcome surprise. It’s my last day walking the Causeway Coast Way, and once again it’s more convenient hiking this final stretch from West to East. I also hope that if I don’t get too late to Carrick-a-Rede, I might avoid at least in part the crowds. 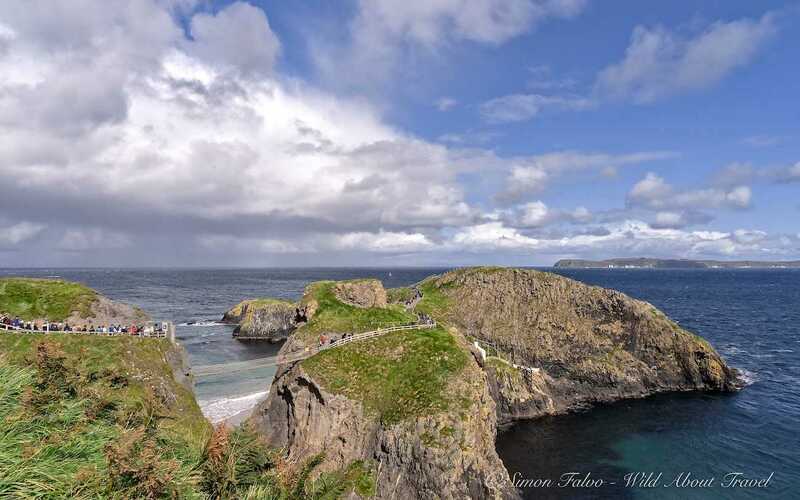 When I first visited this fantastic spot during my previous road trip on the Causeway Coastal Route I had crazy weather. Or maybe that was just Northern Ireland weather? Cold wind, pouring rain, and a couple of short dry intervals when a shy ray of sunshine peeked through the clouds. Luckily, I managed to walk on the suspension bridge during a brief moment of respite from the wind. Carrick-a-Rede and the surrounding cliffs are as beautiful as I remembered. I walk along the grassy trail, listening to the gulls’ shrills and the whisper of the wind. Nature offers an incredible color palette, with countless shades of green and blue. As I continue to hike, I think of how many magnificent landscapes I’ve seen in only three days. I reckon I’ve seen the best this incredible coastline can offer. And then, I reach the charming Ballintoy Harbor, and I marvel once again. This minuscule picturesque fishing village is just picture perfect. I’m glad to still have time ahead of me since this is a lovely spot to take a break and have a picnic. It’s not surprising that such a quaint small harbor was one of the filming locations for the popular Game of Thrones TV series. I get ready to walk the last leg of my hike along the Causeway Coast Way. Boulders, golden sand, and a beautiful deep sky. I couldn’t have asked for a more unforgettable end of a fantastic long-distance hike. 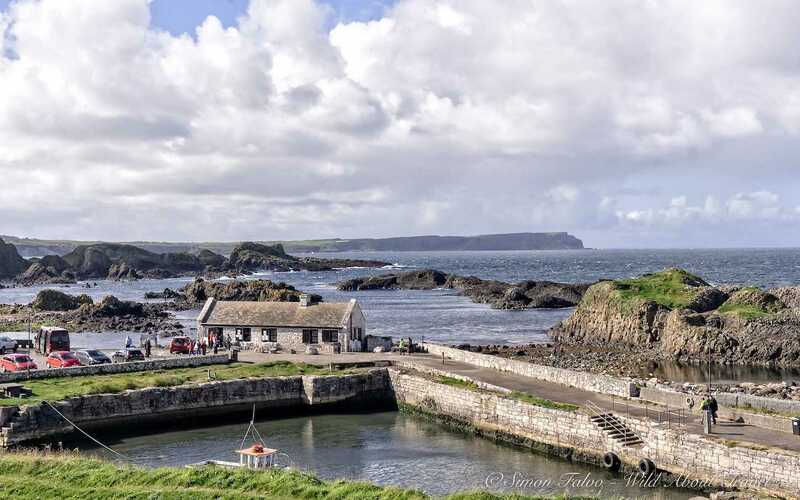 Whether you decide to walk the entire Causeway Coast Way from Portstewart to Ballycastle or vice-versa, or you wish to walk only one day, you can get there from Belfast and Dublin by bus, or rent a car. The trail is linear; therefore, the best option to get around is the Translink Rambler bus. 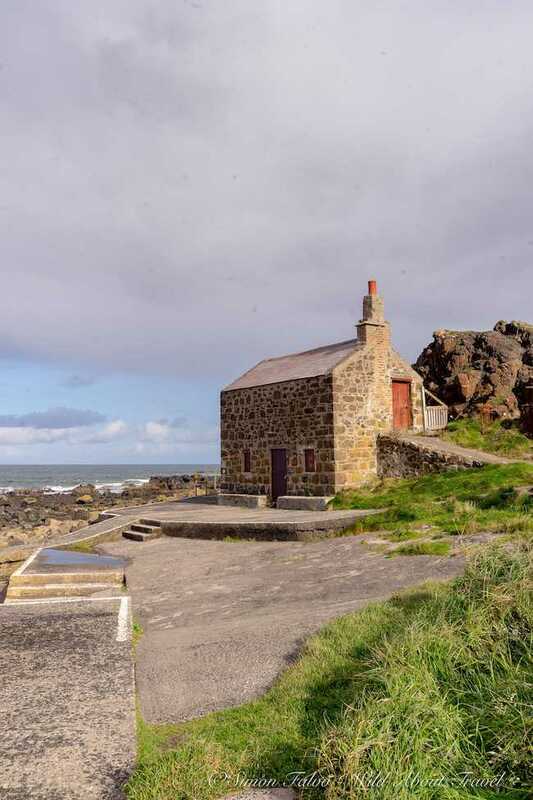 If you plan to hike the entire trail, you can start in Portstewart or in Ballycastle. You can easily do like I did, choosing a town as a base and then reach the section you want to hike every day. Alternatively, you can overnight along the way. There are plenty of hotels and guesthouses along the Causeway Coastal Route, but the downside is that your backpack will be heavier. Another option is to take a self-guided tour with a local company which will transfer your luggage every day. 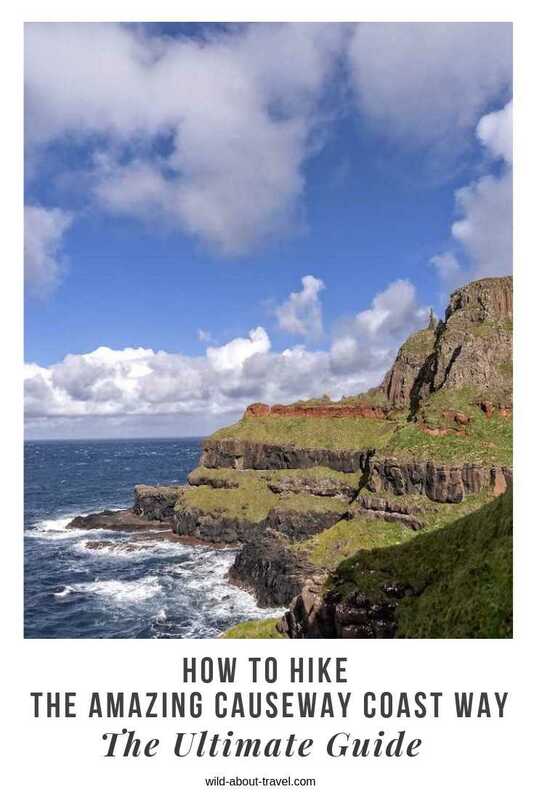 This brochure from WalkNI gives you all the necessary information and maps to prepare your hike. I had a wonderful stay at the Luxury At The Beach Bed & Breakfast. The view is breathtaking, the house tastefully decorated and Glenda delighted me with her delicious breakfast. The Saltwater House Bed and Breakfast overlooks the seafront and features charming, bright rooms. A boutique B&B perfect for a romantic getaway. On my previous trip to Northern Ireland, I had a fabulous stay at the Bushmills Inn Hotel & Restaurant. At this former coaching inn which dates back to the 17th century, you’ll enjoy a quintessentially British atmosphere. 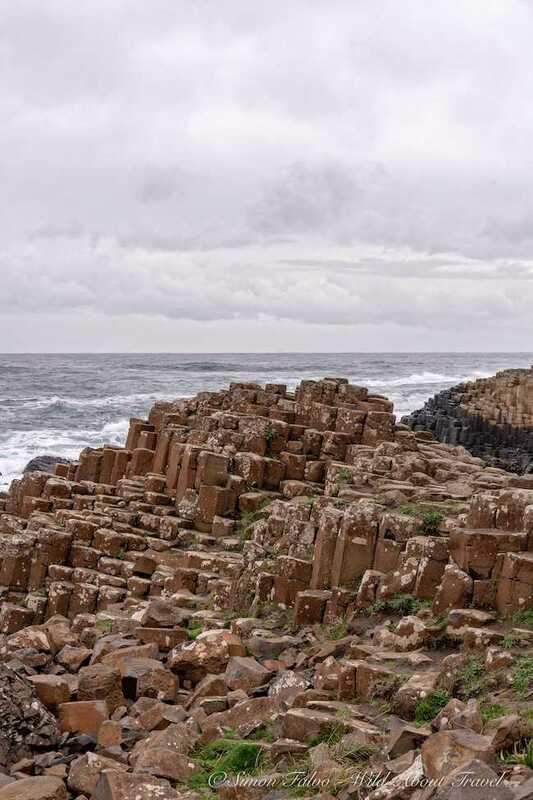 The Causeway Hotel is located on the UNESCO WHS Giant’s Causeway and is the perfect choice if you want to experience the site without the crowds. Bushmills Food Tour including Tasting (and Whisky, of course). A lovely way to discover more of the region local products. Sturdy and waterproof hiking boots. Although the trail is easy, you’ll walk on different kind of terrains. Furthermore, the weather can change abruptly, and you might walk in mud and under the pouring rain. I’m pleased with my La Sportiva boots and the lighter Meindl hiking shoes. Gore-Tex jacket with a hood to protect yourself from the wind and the rain. I’m in love with my lightweight Arc’teryx Women’s Atom Lt Hoody. Lightweight Waterproof sack. Chances are you’ll have with you your smartphone and a camera. A dry sack will ensure they keep dry even if it’s pouring down heavy rain. Compeed blister cushions. I never, ever go hiking without blister cushions, and I never regretted having them with me. Waterproof rain pants. They’re lightweight, and I always add them in my day backpack so that I have them handy if needed. ALSO: Don’t forget Travel Insurance, for your peace of mind. Even for short trips, I always buy coverage on World Nomads. Note: I was invited by Tourism NI to walk the Causeway Coast Way. As always, opinions are my own, as is the amazement in front of such a beautiful stretch of coast. This article contains affiliate links to products and services I tested or selected carefully. If you make a purchase, I earn a small commission at no extra cost for you.